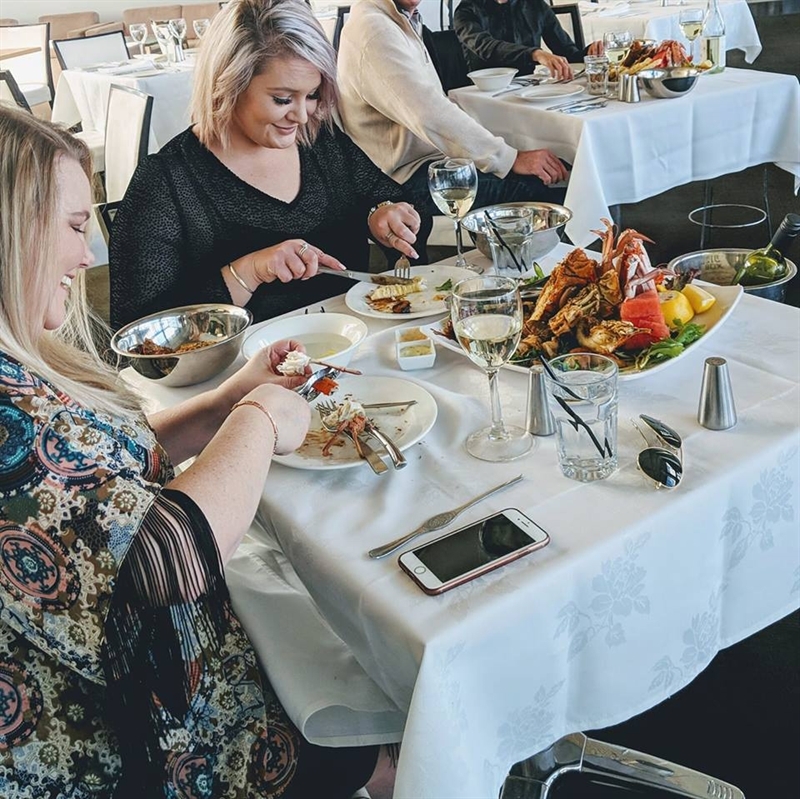 BBQ Platter for Two: King prawns, snapper fillets, octopus, Moreton Bay bugs, Kilpatrick oysters, salt and pepper squid, tempura fish and chips, prawn salad, seasonal fruit with dipping sauce. 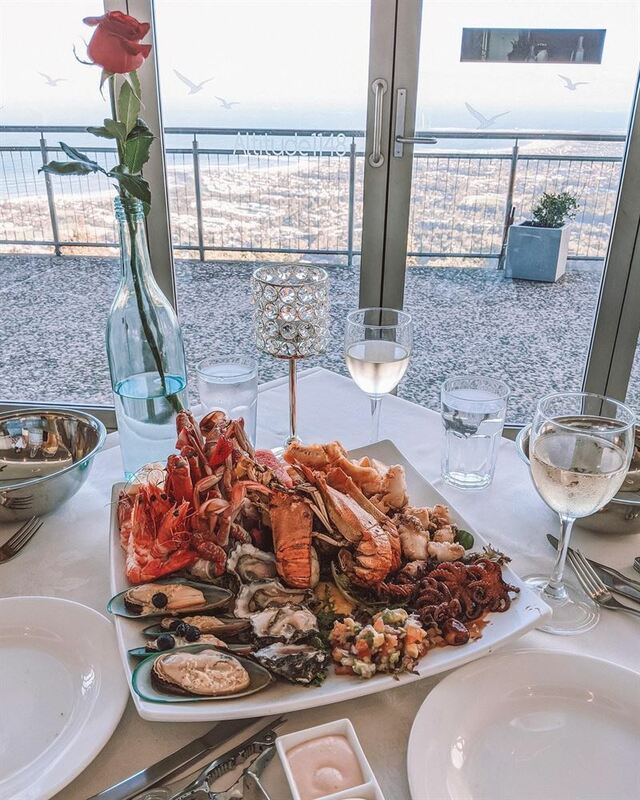 Showcasing a panorama of commanding coastal views over Illawarra, Altitude 1148 is a dining destination not to be missed. Sophisticatedly chic, the smart design of this Bulli Tops restaurant demands attention, easily captivating diners with an open-air design, combined with clean cut fittings and floor-to-ceiling bi-fold windows that peel away to a spacious balcony. 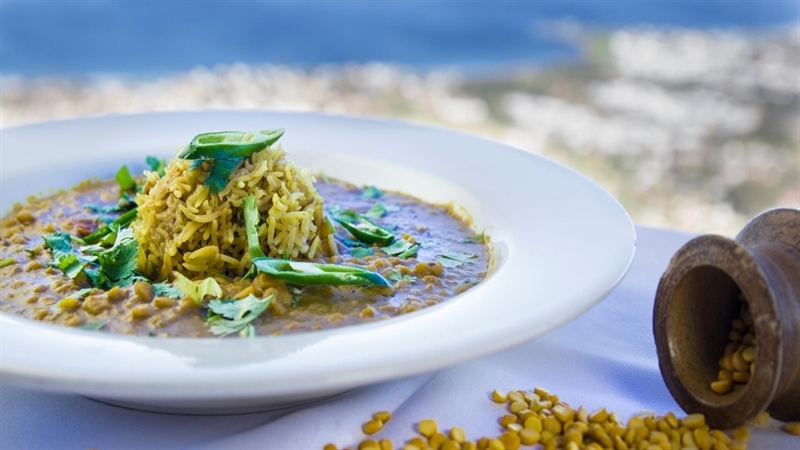 Highlighting fresh local seafood, Altitude 1148’s Modern Australian menu combines with strong Indian influences, complemented by an Australian focused wine list. Start with tandoor-cooked lamb infused with fresh herbs and spices, a tasty precursor to the big flavours found in mains such as rib eye steak with red wine jus; or lamb kofte curry with warm naan bread, leaving room for a lemon meringue tart with cream. 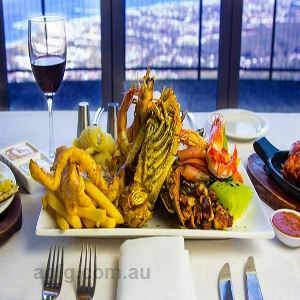 Altitude 1148 is a contemporary restaurant and function centre located in Bulli Tops, a 45 minute drive south of Sydney. 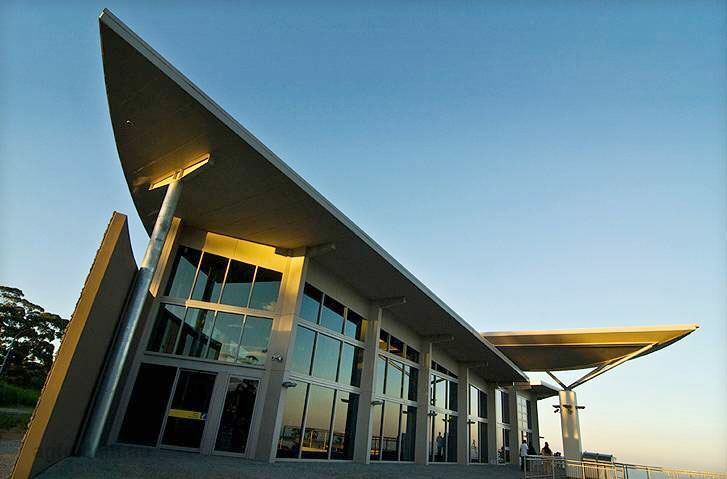 At Altitude 1148, we are dedicated to providing excellent food and service with a variety of menus to choose from. Our unique atmosphere, quality and impeccable attention to detail ensure that every dining experience is a truly memorable occasion. Altitude 1148 is a chic, contemporary restaurant and function centre located within the Southern Gateway Centre in Bulli Tops, which is a 45 minute drive south of Sydney. Taking advantage of its location, the restaurant boasts floor-to-ceiling glass bi-fold doors that open onto a balcony affording commanding coastal views. 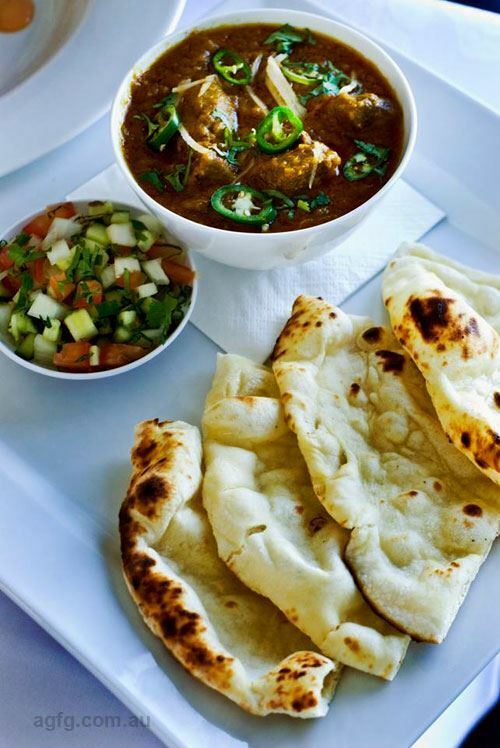 The menu is Modern Australian with Indian undertones and is complimented by a strong-Australian wine list. Contact us today with your enquiry! The view was spectacular and couldn't be replicated any other place in the world. Service was great. We had the Chilli Cheese Naan & Onion Rings for entree and Lamb Kofta Curry & Clay Oven Trio for main. You'd never thought that this gem was serving AMAZING authentic Indian food. However, serving size was massive... we didn't get to try the dessert! At Altitude 1148, we believe that your wedding day is one of the most important days of your life. 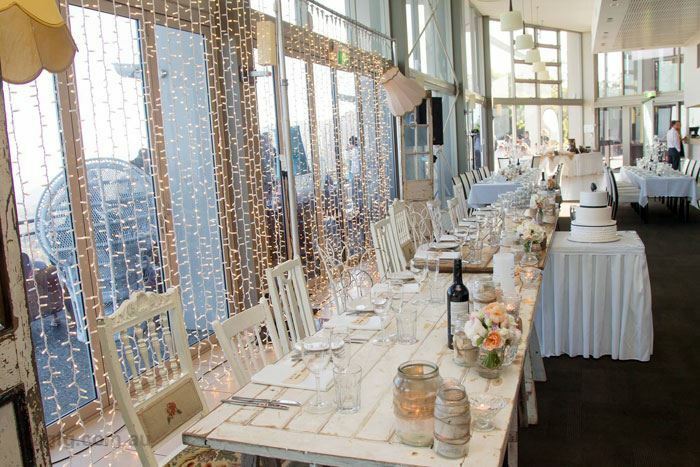 You need a venue that understands this and that you can trust, our dedicated team can help with all your planning needs and work with you to ensure all your wedding dreams come true. For more information, call (02) 4267 5443.